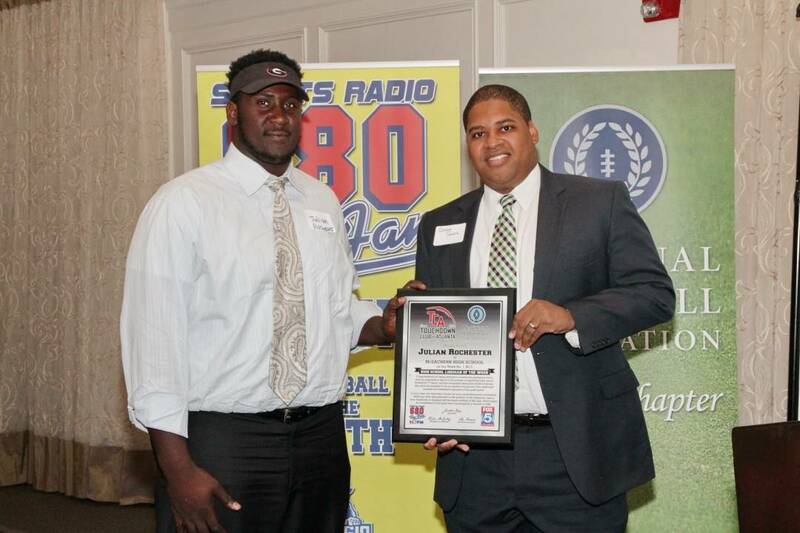 Julian Rochester, DT McEachern 6’6” 335 DT. In the opening Corky Kell Classic at the Dome Julian and the McEachern Indians dominated the depleted Tucker Tigers. With a crushing lead of 41-7 with seven minutes left in the second quarter, Head Coach Kyle Hockman pulled his starters. The defense completely stifled the Tigers.